Not brilliant but better than 1984 and a whole lot better than the disaster that was 1986. Holmes did OK but nothing special, and the trade for DeBerg proved to be a success. Only the picks of Randle and Igwebuike proved worthwhile beyond that however. The Bucs drafted 8th overall throughout this draft. 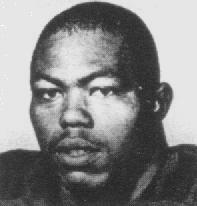 The additional 12th round pick came from the Los Angeles Rams for DE Booker Reese. Always suffered from the stigma of having to replace Lee Roy Selmon, an impossible task. Holmes was a good NFL end, nothing overwhelming but a good solid starter and he did OK in Denver after leaving the Bucs. The Bucs needed an end and he was the best one there. 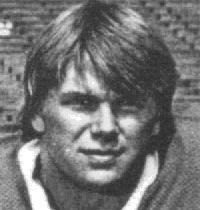 DeBerg started for most of 1984 and led the Bucs to what remains their highest offensive ranking in their history. He was with the Bucs through 1987 and was a lot better value than the first round pick that was given up for his predecessor Jack Thompson. Randle started at linebacker for the Bucs for three of his six years and showed some pass-rush abilities in his final year when given more of a free rein on third downs. Wound up with the Chiefs at the end of his NFL career. Never played football in the NFL at all. 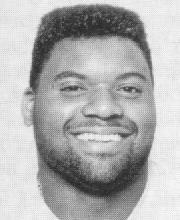 Had been a three-year starter at Illinois and was a second team All-Big Ten in both his junior and senior years. Had been playing in college as a cornerback and never adjusted to safety in the pro ranks at all. Solid back-up with the Jets but the emergence of James Wilder as a do-it-all back for the Bucs made pretty much every other running back on the roster superfluous. Never played a down for the Buccaneers. 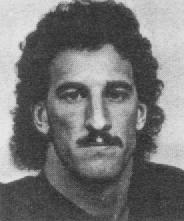 Had been a four-year starter in the Canadian Football League and was acquired from Cincinnati during the 1984 pre-season. Played in all four exhibition games that year before sustaining a back injury and missed the entire year. Did not make the 1985 team out of training camp. Only played one season as a nickel back and special teamer with the Bucs but stayed in the NFL for over a decade before winning a Super Bowl ring with the Packers. Had a real knack for recording interceptions against Tampa Bay over his career. One of the better kick returners in franchise history - his chances to do well at receiver were hampered by injury. Recorded the longest kick return in franchise history at the time, the very first time he touched the ball (1985 opener in Chicago). Never played football in the NFL at all. Had been a record-setting Division 1-AA QB in college and ranked fourth all-time in passing yardage when he was drafted. One of the best kickers in franchise history. Played five seasons in Tampa and never missed a kick of inside 33 yards in his career. The first kicker the Bucs ever drafted. Never played football in the NFL at all. Real name was James Williams, Punkin being a childhood nickname he always used thereafter. Led Memphis State in rushing his junior and senior years but got hurt in his final season when colliding with a sideline camera. Never played a down for the Buccaneers. Played in just one NFL game in his career in 1985 with the San Diego Chargers. Started his final two years in college having been recruited as a receiver out of high school. Never played a down for the Buccaneers. 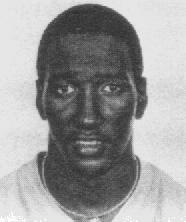 Did appear in one of the replacement games in 1987 for the Green Bay Packers and recorded an interception. 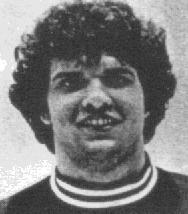 Was one of 11 Wisconsin Badgers drafted in 1985 and was the school's leading tackler for his final three years in college. Was an All-American running back in high school.